The bow tie appears for the first time in the early nineteenth century as a new style of tie, therefore, is a modification of its predecessor, the tie. Soon it triumphed and by 1880, the bow tie had already become a basic element in man’s wardrobe who liked to be in style. From the beginning, bow ties have experienced a large number of changes, both in the form and its function aesthetically, and over time has been both a fashionable element and a traditional and formal element. This is a very curious phenomenon in bow ties. About 10 years ago, the bow tie was a very formal element and reserved only for special occasions. 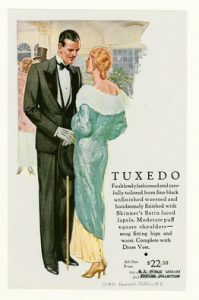 Was often wore with tuxedo or frock coat and it was rare to see them in more casual suits. However, nowadays it has become a cool item that can be worn in any modern outfit and even without a blazer, for example, with a cool jacket or a sweater. Everything in fashion changes over time and bow ties are no exception. Continuing with the story, from the XVII century it became a tradition, to decorated the neck with fabric thanks to the Croatian soldiers of the Thirty Years’ War. Therefore, the word tie comes from the Croatian word and is documented that they were one of the first peoples to wear a tie. The French soldiers noticed this new complement for the man and copied it after the war. Subsequently, the bow tie would be widely adopted by the upper classes, surpassing in popularity the traditional ties and becoming a major element in men’s outfits. A new milestone would mark the story of the bow ties when in October 1886, Pierre Lorillard designed a new style of formal suit for gentlemen and wore it to a ball held at the club Tuxedo in New York, which he owned. Lorillard’s new tuxedo became a big hit among other fashion enthusiasts. Of course, this tuxedo wore a black bow tie and quickly outperformed the fashionable outfits by that time when everyone wore a tie. During the twentieth century, thanks to the film industry the bow tie was popularized and was worn by great actors like Charlie Chaplin, Fred Astaire or Frank Sinatra, not forgetting the fictional character James Bond who always uses a bow tie in all his films. 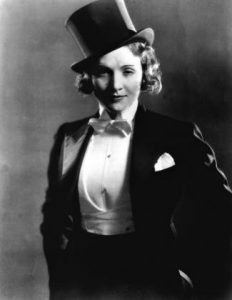 Although the bow tie has been a fundamental complement for men, it has also been integrated into women’s clothing since the 20s and 30s, when big screen stars like Marlene Dietrich and Katharine Hepburn appeared wearing this item and lead the way for the bow ties to be accepted within women’s fashion, since up to that time was an exclusive men’s element. As commented in previous paragraphs, bow ties are a fashionable item and have been redesigned to obtain the most varied shapes, fabrics, and colors and today’s actors, such as Justin Timberlake, Johnny Depp or Rihanna, wear them in public appearances. In our online shop, you can find bow ties of all colors and designs, all handmade, with high-quality fabrics and beautiful designs, such as our exclusive DOLMA collection or our groom bow ties, or the most daring red bow ties. Do you know any anecdotes about bow ties? Make a comment.